Talent Chawapiwa’s agent has revealed why the player opted to sign for AmaZuu instead of some big clubs which were chasing after his signature. The 26-year-old winger joined the Durban-based side on a three-year-contract from Baroka FC just before the transfer window shut last week. 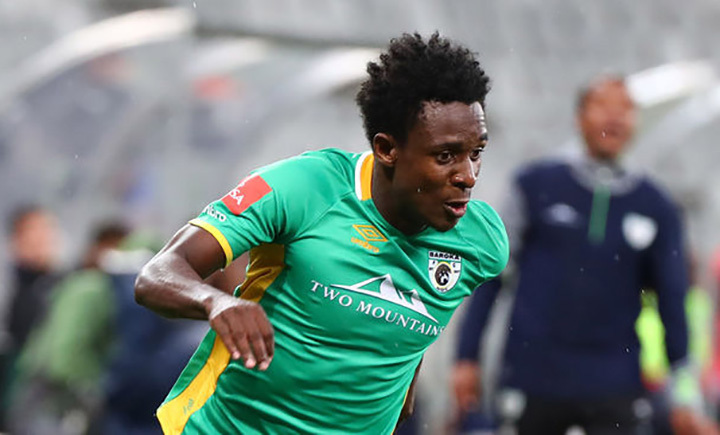 Kaizer Chiefs and Mamelodi Sundowns had shown interest in the player who helped Baroka win the Telkom Knockout in December with his impressive performances. According to Soccer Laduma, Chawapiwa’s agent, Michael Ngobeni from M Sport Management, the move to Usuthu was meant to give the player more game time. “Zimbabwe fans and Chawapiwa’s fans want to see the player play. He is a national team player and the fans want to see him on the field of play. I’m not going to mention other clubs (that had been interested in the player), because that’s water under the bridge now,” said Ngobeni. “But we all know the big two that were chasing Talent. One of the two clubs had been chasing Talent from way back last year in June. We delayed that because we wanted assurance that the player was going to play. We couldn’t just be happy with making people happy that he signed for a big club, but we wanted assurance that a Zimbabwean asset was going to play.